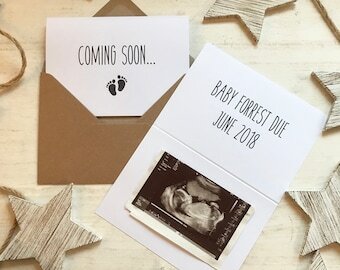 Guess What Surprise handmade pregnancy announcement cards in a vintage, rustic, country chic style. 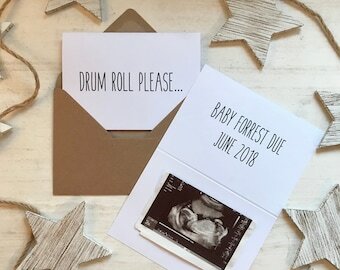 Available as a single card, in a pack of 5 or a pack of 10. Cards are approximately 10.5cm x 14.8cm when folded (A6 size). 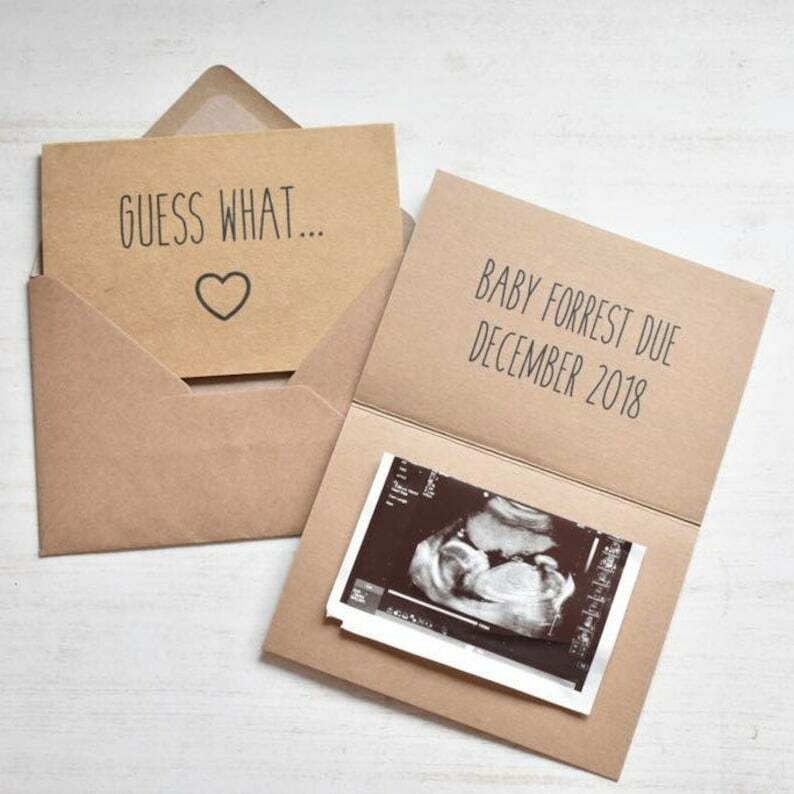 These new baby announcement cards are made out of brown kraft card and come with brown kraft envelope(s) included. 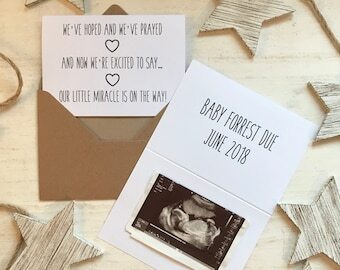 Price includes customisation of the message on the inside of the card. Image shows the inside and outside of the same card. Please leave your customisation details in the notes section on checkout. If no customisation details are left then your cards will be sent blank.